My pantry was driving me crazy. I couldn’t keep it neat and organized — and as a result, I couldn’t find stuff when I needed it. Every time I opened the door, things would fall out at me. And often, though I KNEW I had purchased a certain ingredient, I had to move many things before uncovering the one I needed. At one point I asked a very organized friend to take a look at it for me and make it better. She came back about 15 minutes later and said she was done. LOL. 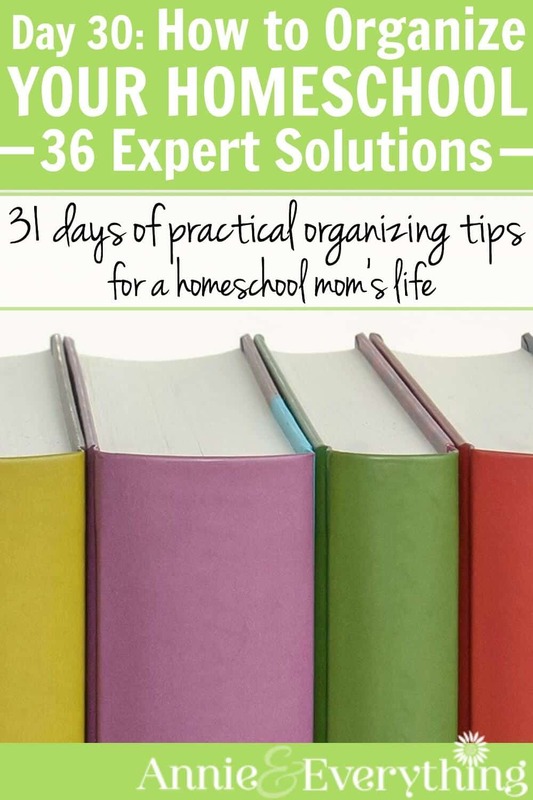 What was painfully clear to her was an eye-opener for me that day and is today’s organizing tip: sometimes you need to store like with like. She had grouped all the cans together, all the jars together, all the boxes together, and all the bags together. I had been trying to group all the spaghetti stuff together — the box of spaghetti, the jar of sauce, the can of diced tomatoes… and it wasn’t working. It looked messy and also was impossible to maintain that way. 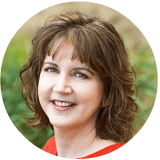 Once she grouped all the items in the pantry by package style, it was easy to see everything and find what I needed. On Day 3 I suggested putting things close to where you use them, and when you do that, you might not be able to use this tip in those specific areas. 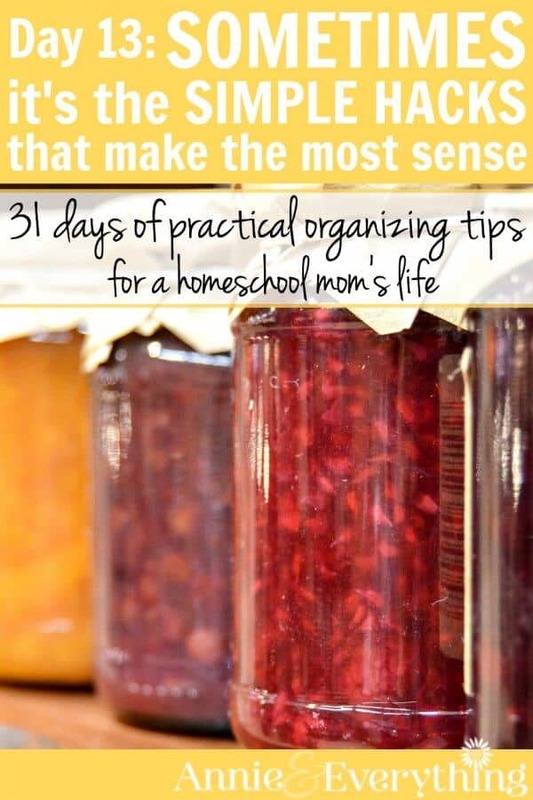 But when we’re talking about a larger area like a pantry, or a clothes closet, or a makeup stash, or the kids’ schoolbooks — then grouping like with like makes lotsa sense. In your clothes closet you might already hang all the pants together at one section of the bar, all the button up shirts together, all the skirts together, etc. If you are grouping by outfit, you might want to try this way instead. Grouping by outfit can get tricky — what happens when you have more than one shirt that matches a certain skirt, but only one of those shirts can also be worn with a certain pair of pants? You can come up with some complicated way to make that happen — but the more complicated it is, the harder it is to maintain. When it comes to makeup, I find it works best to separate my makeup and supplies by whether they are long and skinny or boxy and flat. I have all my brushes and other long skinny things like eyeliner, mascara, and eyelash curler, standing up in a small decorative flower pot on my counter. So easy to reach and grab whichever one I need. Then the powder, blush, and eye shadow is in a makeup bag in the drawer. I bring the whole bag out onto the counter to start, and as I finish using each item, I lay it down somewhere else on the counter, so there’s less to look through when I need the next thing. And coincidentally but helpfully, I’m working from big packaging (powder) down to little packaging (eye shadow); so pawing through all of it is at a minimum. When I’m done with my attempt at beautification, I throw all the makeup back in the bag and return it to the drawer. You know we all have one, although some homeschool stashes are bigger than others, lol. I know it seems like all the resources for Saxon 6/5 should be together — but trust me, you will remember that there is a textbook, a homeschool packet, and a test book when you need the curriculum again. Storing them together leads to problems with the very thin packet and test book slipping down or falling out as you look for other things, getting pushed to the back of the shelf, etc. If you store only texts on that shelf, then you can get creative about storing packets and workbooks in bins so they don’t cause a mess by sliding all over. You can stack binders at the end of the shelf, one with the rings to the left, the next with the rings to the right, so that they don’t take up more room than you have. 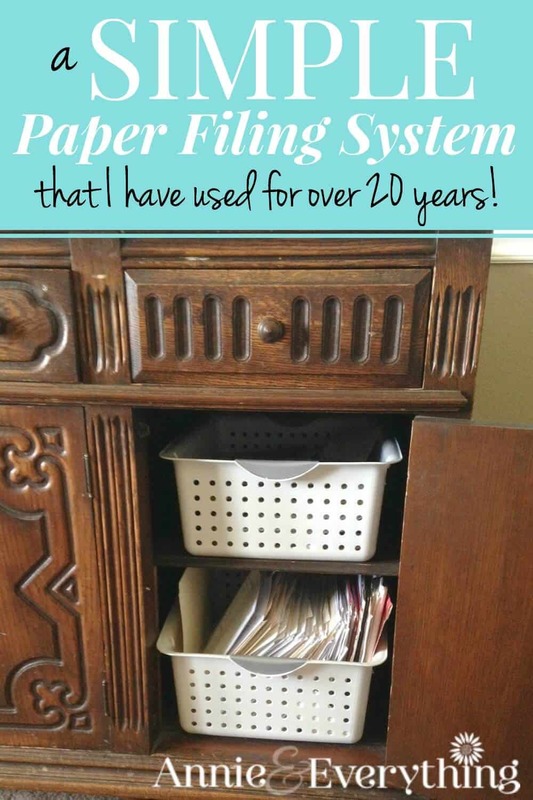 Is this an organizing tip that you will use everywhere? No, probably not. Remember, in this series I am presenting a smorgasbord! You can pick and choose which strategies you think will be most helpful to you. But don’t forget about this one; even if you don’t see any applications of it now in your life, it might come in handy later. Sometimes sorting things by packaging size and shape makes the most sense. 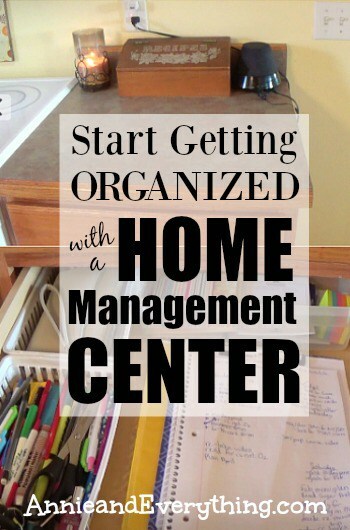 It can help your whole house look less cluttered, and finding what you need becomes easier, too. That’s the whole point of organizing, after all. So give up the grandiose ideas and use the simple tips that are more effective. Great ideas. You actually do the exact opposite of what I do when I use a bag (yours, for makeup; mine, makeup, cream, meds, earrings, etc. when I travel). I empty the bag on the counter, put anything I won’t be using right then in the bag, and put each item in the bag as I use it…so when I’m done, the counter is empty. Along with grouping clothing type together, I started a few years ago to put them in color order, lightest to darkest. It just makes it look so much more organized, and it’s just as easy to put things away (plus it makes dressing easier, if all the black blouses are together, etc. AND it helps you downsize more easily).